Love the classic halo style but yearn for something a little more unusual? Then this stunning emerald cut diamond and pavé halo ring is perfect for you. 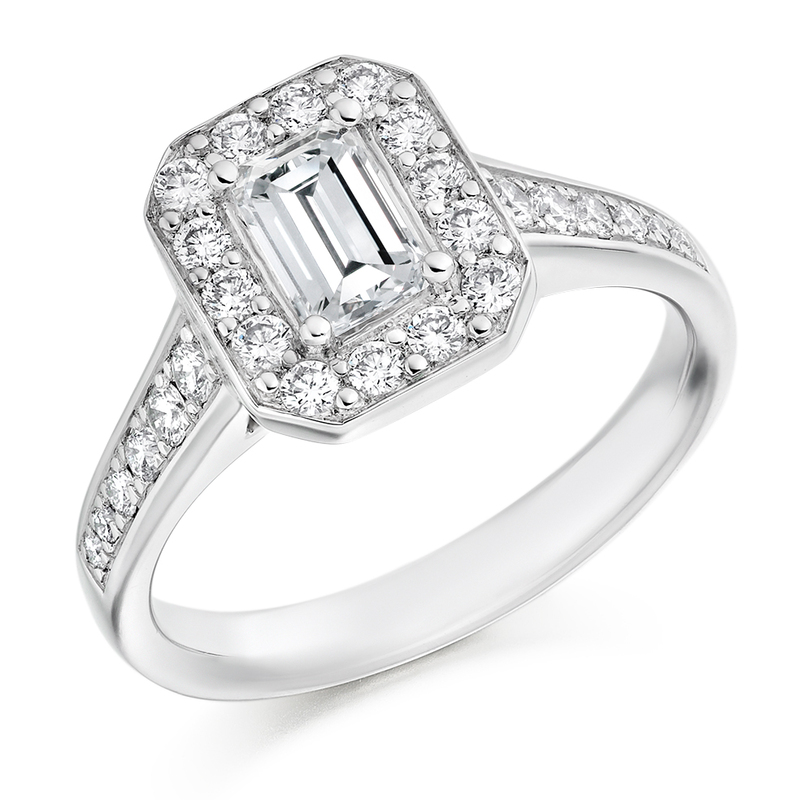 Offering the perfect balance between modern and vintage, this gorgeous engagement ring features a central emerald cut diamond surrounded by a halo of pavé set diamonds and perfectly completed by a reverse tapered diamond set band. Whether you are looking for a modern or vintage style piece, we have a large selection to choose from. At Voltaire diamonds, our passion for fine quality diamonds and detailed craftsmanship shows in our stunning and varied range of engagement rings. Our comfortable and discreet offices ensure a personalised service, aimed at helping you find the ring that’s just right for you.